Introducing our breathtaking Elite Finger Protected Woodlook series. The door sections are made from strong, rust resistant, embossed galvanized steel, coated with a baked-on polyester paint finish. 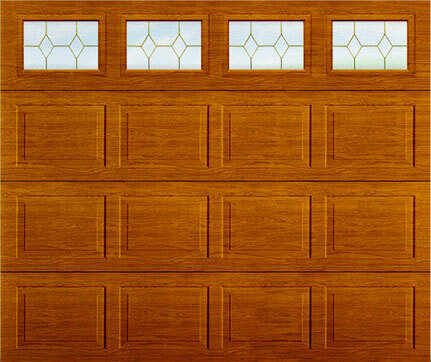 These woodgrain embossed doors are maintenance-free and come with our Lifetimer™ Gold Warranty. Available in flush or ribbed designs, raised panel and in your choice of golden oak, cherry, and dark oak wood finishes.